Continuing with his series of looking under the covers of what happens when you execute a query in Postgres, Pat Shaughnessy digs into what indexes are and how they work in Postgres. An awesome read if you want to learn more about what happens when you SELECT. CTEs are great to help you create more readable SQL, they also provide an ability to have upsert like functionality for Postgres. But even more than that can offer certain performance improvements where you’re conducting more complex inserts. Input parameters about the system you’re running Postgres on and PgTune will suggest settings that are better than the defaults. We’ve just recently announced two new Online Immersive Courses beginning February 2nd and March 23rd. 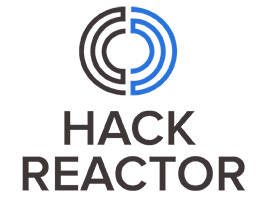 With our December 8th online course filling up fast, apply to Hack Reactor today and secure your spot in one of our three Remote Beta classes! Grabbing values from one query and inserting them in another? Here’s a quick read on the performance difference of a few ways of doing this. Today there’s several industry standard benchmarks for databases, the problem is they don’t represent what most web applications do. Here’s some thoughts and high level proposal for fixing such. As Postgres on RDS matures over time, it’s now receiving some of the updates you’d hope to see such as newer Postgres versions, read replicas, and some of the more powerful extensions.